Nyashinski has a celebrity admirer, rapper Kush Tracey has had a thing for Nyashinski since she was only a student in high school. Remember the defunct Kleptomaniax? The group which comprised of Roba, Collo and Nyashinski was the most sought-after music group in Kenya back then 2003. Kleptomaniax ruled the airwaves with hits like ‘Swing Swing’, ‘Haree’, ‘Tuendelee’ among other songs. The trio went their separate ways and Nyanshinki relocated to US for a decade before coming back. Kush Tracey developed a serious crush for Nyashinski while he was still a member of Kleptomaniax. Tracey was a student in high school back then. 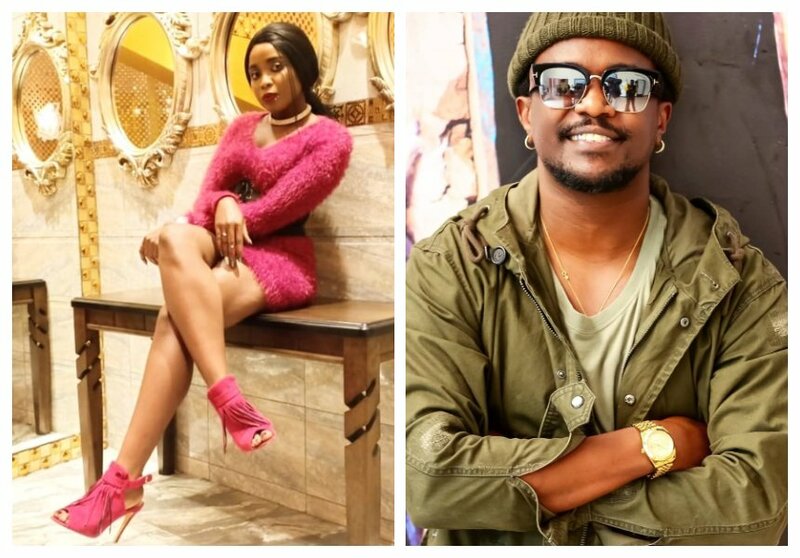 Kush Tracey expressed her desire to work with Nyashinski during an interview with Tuko. She revealed that she has only met the ‘Now You Know’ hit maker once. “Nyashinski has been my MCM since the times of Tuendelee ama Tusiendelee. I think I had a crush on him since then. I only met him once and I saw him from a distance. Definitely i would want to work with him, he is full of energy, positive vibes. His kind of thing is just on a whole different level,” said Kush Tracey.